Looking to frame an oil painting? We have a wide selection of beautiful frames in our custom frame shop to suit any taste or budget. Art will arrive stretched and ready to hang with hanging hardware included. Display your new oil painting in this lovely high-quality gold finish frame, with simple lines and intricately decorated corners. 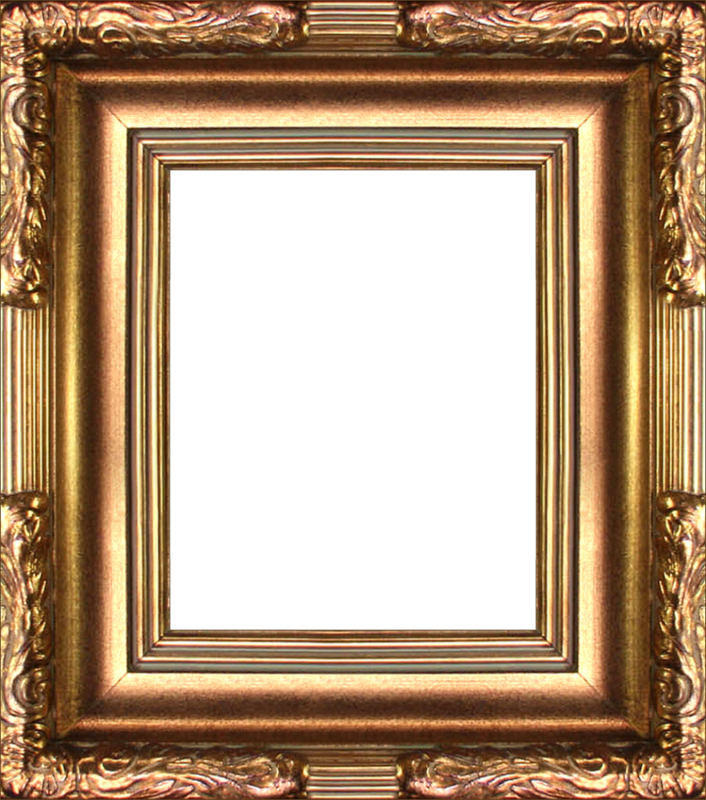 Crafted with superior style, our Florentine Gold frame will bring a touch of elegance to any room of the house. All frames come with hanging hardware included. Mounting hardware for stretched canvas artwork comes pre-installed on every frame. Most of our frames are cut and assembled by hand in the USA, according to the size specified. Frames do not include glass or backing material. Our frames are designed for canvas artwork stretched on wooden bars and held to the reverse of a frame with brackets. Glassing in canvas artwork hides its unique texture, increases glare, and with fresh oil paintings in particular can lead to issues of preservation and longevity. Unless allowed to 'breathe', moisture can become trapped on the surface of the canvas causing decomposition, cracking, yellowing, or unsightly buildup. The cheap backing material offered by other retailers would not only prevent proper installation of stretched art but may also release harmful gas as it ages, altering the image's appearance or even damaging the substrate. Color Palette for Florentine Gold Frame 8"X10" is empty.